HINET IP PBX is a complete telecommunications platform. From caller ID to long distance, anything your telephone system can do, HINET IP PBX can do better—and cheaper. HINET IP PBX was designed to be able to do everything a traditional telephone system can do, and much, much more. HINET IP PBX is, at it's heart, a PBX system. However, it includes a whole host of telephony features such as voicemail and call conferencing. HINET IP PBX creates a PBX that rivals the features and functionality of traditional telephony switches. HINET IP PBX is cost-effective, low-maintenance, and flexible enough to handle all voice and data networking. With HINET IP PBX software, very few hardware, and a common PC, anyone can replace an existing switch or complement a PBX by adding VoiceOverIP, voice mail, conferencing, and many other capabilities. 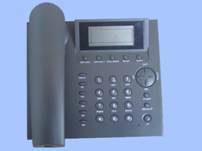 HINET IP PBX integrates easily with analog phones and most standards-based IP telephone handsets and software. Proven through installations around the globe, and connecting the corner office to the most remote company outpost, HINET IP PBX is solid and stable in either small office or Enterprise environments. HINET IP PBX greatly reduces the cost of traditional telecommunication technology and operation, and moves voice over IP, VoIP, to the mainstream. HINET IP PBX integrates a pre-existing analog telephone network with the benefits of IP technology, greatly reducing costs. HINET IP PBX is powered by Asterisk which is an Open Source hybrid TDM and packet voice PBX and IVR platform with ACD functionality. Unofficially, Asterisk is quite possibly the most powerful, flexible, and extensible piece of integrated telecommunications software available. Similarly, HINET IP PBX is designed to interface any piece of telephony hardware or software with any telephony application, seamlessly and consistently. Traditionally, telephony products are designed to meet a specific technical need in a network. However, many applications of using telephony share a great deal of technology. HINET IP PBX takes advantage of this synergy to create a single environment that can be molded to fit any particular application, or collection of applications, as the user sees fit. HINET IP PBX is carefully designed for maximum flexibility. Specific APIs are defined around a central PBX core system. This advanced core handles the internal interconnection of the PBX, cleanly abstracted from the specific protocols, codecs, and hardware interfaces from the telephony applications. This allows Asterisk to use any suitable hardware and technology available now or in the future to perform its essential functions, connecting hardware and applications. PBX Switching - The essence of Asterisk, of course, is a Private Branch Exchange Switching system, connecting calls together between various users and automated tasks. The Switching Core transparently connects callers arriving on various hardware and software interfaces. Application Launcher - launches applications which perform services for uses, such as voicemail, file playback, and directory listing. Codec Translator - uses codec modules for the encoding and decoding of various audio compression formats used in the telephony industry. A number of codecs are available to suit diverse needs and arrive at the best balance between audio quality and bandwidth usage. Scheduler and I/O Manager - handles low-level task scheduling and system management for optimal performance under all load conditions. Four APIs are defined for loadable modules, facilitating hardware and protocol abstraction. Using this loadable module system, the HINET IP PBX core does not have to worry about details of how a caller is connecting, what codecs are in use, etc. Channel API - the channel API handles the type of connection a caller is arriving on, be it a VoIP connection, ISDN, PRI, Robbed bit signaling, or some other technology. Dynamic modules are loaded to handle the lower layer details of these connections. Application API - the application API allows for various task modules to be run to perform various functions. Conferencing, Paging, Directory Listing. Voicemail, In-line data transmission, and any other task which a PBX system might perform now or in the future are handled by these separate modules. Codec Translator API - loads codec modules to support various audio encoding and decoding formats such as GSM, Mu-Law, A-law, and even MP3. File Format API - handles the reading and writing of various file formats for the storage of data in the filesystem. Using these APIs HINET IP PBX achieves a complete abstraction between its core functions as a PBX server system and the varied technologies existing (or in development) in the telephony arena. The modular form is what allows HINET IP PBX to seamlessly integrate both currently implemented telephony switching hardware and the growing Packet Voice technologies emerging today. The ability to load codec modules allows HINET IP PBX to support both the extremely compact codecs necessary for Packet Voice over slow connections such as a telephone modem while still providing high audio quality over less constricted connections. The application API provides for flexible use of application modules to perform any function flexibly on demand, and allows for open development of new applications to suit unique needs and situations. In addition, loading all applications as modules allows for a flexible system, allowing the administrator to design the best suited path for callers on the PBX system and modify call paths to suit the changing communication needs of a going concern. HINET IP PBX is powered by Asterisk and A2Billing…Billing, Routing and Management software for Asterisk.